With Pennsylvania lagging badly in helping to clean up the Chesapeake Bay, a new report by an environmental group highlights the role that intensive livestock farming plays in the state’s shortcoming. Four south-central Pennsylvania counties where animal manure is heavily used to fertilize crops “contribute disproportionately” to the nitrogen and phosphorus pollution fouling local waterways and the Chesapeake Bay, according to the report by the Environmental Integrity Project. 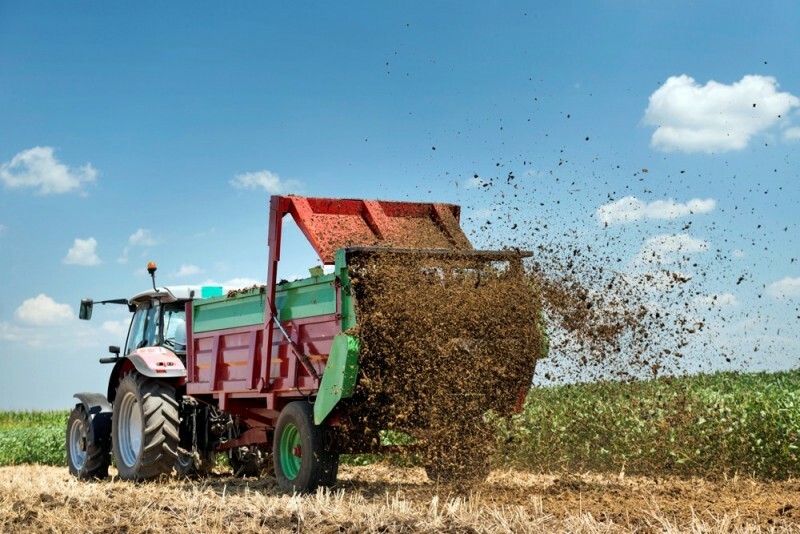 The Washington, D.C. based group calculates that farmers in Lancaster, Lebanon, Franklin and Union counties apply up to four to five times as much manure per acre as growers do in other Pennsylvania counties. Drawing on data from the U.S. Environmental Protection Agency and the Chesapeake Bay Program, the EIP estimates that about 18 percent of the nitrogen and phosphorus in that manure runs off into local waterways. The group contends that the Keystone state lags behind others in the Bay watershed in holding farmers accountable. Its report calls for tighter regulation, including imposing requirements for advanced nutrient management and placing restrictions on spreading animal manure in winter, when it’s more likely to run off of frozen fields. Representatives from the Pennsylvania Farm Bureau and the Lancaster County Conservation District disagreed with the environmental group’s findings and recommendations, arguing instead that current regulations prevent overapplication of manure to fields. EPA data show that waterways in the four counties are impaired by agricultural pollution—although some streams have shown improvement since the 1980s. Still, in Lancaster County alone, 40 percent of stream miles are impaired by agricultural runoff pollution, including 106 miles impaired by pathogens and 562 miles by nitrogen and phosphorus. Kevin Seibert, agricultural compliance coordinator for the Lancaster County conservation district, said the report is misleading. That farmers in these counties are applying more manure than their neighbors is good, he said, because those nutrients in the animal waste are going into higher crop yields—and coming off the fields during harvest in the form of corn, soybeans and other grains. Nutrient management plans are designed to tell farmers how much nitrogen their crops need to grow, as well as how much manure can be used so that the phosphorus in it can be absorbed by the soil without leaching into waterways. Farmers, Seibert said, want to use just enough manure to get the nutrients back in the form of grain. Agriculture is the major source of Bay nutrient pollution, according the Chesapeake Bay Program, and among the six watershed states, Pennsylvania is the largest contributor of nitrogen and phosphorus. It was 16 million pounds of nitrogen away from meeting its 2017 obligations in the multi-state cleanup plan, or Bay pollution diet, that EPA imposed in 2010. By 2025, the Keystone state needs to reduce the amount of nitrogen reaching the Bay by 34 million pounds, more than two-thirds of the total reductions needed by all Bay states combined. Yet animal agriculture continues to grow in Pennsylvania. Most areas of the state have seen numbers of animals grow by nine percent, but in the four counties highlighted by EIP, the report states that hog numbers have almost doubled since the 1980s, with a subsequent increase in manure from 700,000 to 1.4 million tons a year. Broiler chicken litter has increased 75 percent, to the tune of 113,000 tons. And dairy and beef cattle herds -- which are decreasing elsewhere -- have grown by 16 percent in the four counties that EIP dubs “manure hotspots” -- generating 3.9 million tons of animal waste annually. Millions of state and federal dollars have been poured into stream restoration projects and on-farm conservation practices in South-Central counties in recent years, as officials have focused on agricultural practices as crucial to Bay recovery. The Chesapeake Bay Foundation, in a report last year with similarities to EIP’s, called on the U.S. Department of Agriculture to provide more federal funds to pay for farm conservation practices in five Pennsylvania counties deemed major contributors to stream pollution. That report also highlighted Lancaster and Franklin counties, but called out three different south-central counties, based on their acreage in farmland and contribution of just nitrogen to streams. Those five counties together account for more than 30 million pounds of nitrogen per year to local rivers and streams and ultimately the Bay--nearly half the annual total from the entire state. Representatives of the farm bureau and Lancaster County conservation office both stated that current regulations are strong enough in their view, such that every drop of manure in Pennsylvania has a paper trail attached to it. The EIP report does mention Pennsylvania’s 2016 “reboot” of its lagging Bay cleanup efforts, which included stepped-up inspections of farms to see if they have required conservation and manure management plans. The regulations requiring farmers to have those plans have been on the books for about three decades. The group also notes chronic understaffing at the state Department of Environmental Protection, which has suffered a nearly 40 percent cut in budget since 2003. The DEP did not respond to questions at the time of publication, but had recently reported that roughly 60 percent of farms inspected were “in compliance” as of August. Compliance at this point means having a valid manure management plan for the farm, or -- if a larger operation -- a nutrient management plan. Although the plans are supposed to be followed, there is no effort at this time to inspect and verify if farmers are in fact doing that. Both plans spell out how farmers can manage manure responsibly to avoid runoff, through proper storage and limits on how much can be applied to fertilize croplands. Even these plans are not enough to ensure safe water resources, the report says. It spells out several ways in which Pennsylvania regulations fall short of what other states require, including a state law prohibiting regulators from making cattle be fenced away from streams. A fundamental way to control manure runoff, Russ said, is to cap the number of animals per acre that can be kept in a given area. And he questioned how Pennsylvania would be able to meet its Bay cleanup requirements under the current regulatory regime, simply by offering farmers financial help to voluntarily install runoff-limiting “best management practices,” or BMPs.